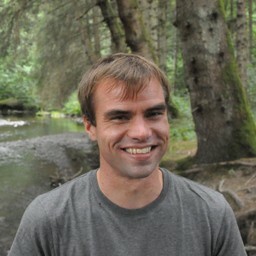 I am a bioinformatics postdoctoral researcher at the Noble Research Lab of the University of Washington and the ADReM Data Lab of the University of Antwerp. My research deals with developing advanced machine learning techniques to uncover novel knowledge from mass spectrometry-based proteomics data. While my current research mainly focuses on how deep learning can be used to analyze mass spectrometry data I am interested in a wide variety of bioinformatics problems. An important part of my work involves developing insights and computational approaches for quality control in mass spectrometry proteomics. Journal Using expert driven machine learning to enhance dynamic metabolomics data analysis. Preprint MESSAR: Automated recommendation of metabolite substructures from tandem mass spectra. Journal Fast open modification spectral library searching through approximate nearest neighbor indexing. Journal Proceedings of the EuBIC Developer's Meeting 2018. Journal Grasping frequent subgraph mining for bioinformatics applications. Journal Quality control in mass spectrometry-based proteomics. Preprint TCRex: A webtool for the prediction of T-cell receptor sequence epitope specificity. Journal On the feasibility of mining CD8+ T-cell receptor patterns underlying immunogenic peptide recognition. Journal Proteomics Standards Initiative: Fifteen years of progress and future work. Journal A community proposal to integrate proteomics activities in ELIXIR [version 1; referees: 2 approved]. Journal The Human Proteome Organization–Proteomics Standards Initiative Quality Control working group: Making quality control more accessible for biological mass spectrometry. Thesis Computational solutions for quality control of mass spectrometry-based proteomics. Journal Computational quality control tools for mass spectrometry proteomics. Journal Mining the enriched subgraphs for specific vertices in a biological graph. Journal Designing biomedical proteomics experiments: State-of-the-art and future perspectives. Journal Unsupervised quality assessment of mass spectrometry proteomics experiments by multivariate quality control metrics. Proceeding Discovery of significantly enriched subgraphs associated with selected vertices in a single graph. Journal iMonDB: Mass spectrometry quality control through instrument monitoring. Journal A primer to frequent itemset mining for bioinformatics. Journal Efficient reduction of candidate matches in peptide spectrum library searching using the top k most intense peaks. Journal qcML: An exchange format for quality control metrics from mass spectrometry experiments. 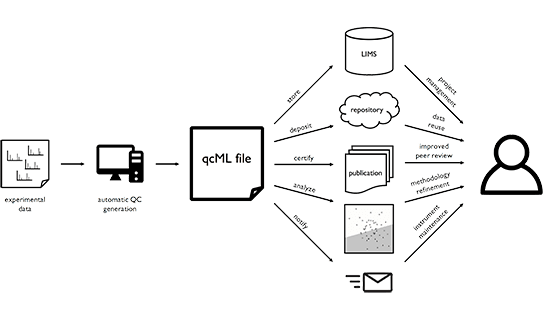 Journal jqcML: An open-source Java API for mass spectrometry quality control data in the qcML format. 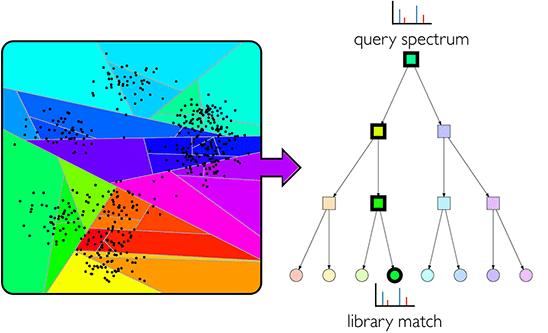 Journal Machine learning applications in proteomics research: How the past can boost the future. Poster Fast open modification spectral library searching through approximate nearest neighbor indexing. Oral Fast open modification spectral library searching through approximate nearest neighbor indexing. Poster Mass spectrometry proteomics: Ready for the deep learning (r)evolution? Poster Towards the smart lab: A comprehensive approach to mass spectrometry quality control. Oral Shedding light on complex mass spectrometry proteomics processes through advanced data mining. Oral Git: How version control can power your research. Oral Optimized open modification spectral library searching using approximate nearest neighbor techniques. Poster Automatic quality assessment of mass spectrometry experiments by multivariate quality control metrics. Oral Approaches for mass spectrometry quality control. Oral Analysis of mass spectrometry quality control metrics. Oral Precursor-free and fast spectral library search using approximate nearest neighbor techniques. Poster Mass spectrometry quality control: Instrument monitoring and pattern mining insights. Software iMonDB: Mass spectrometry instrument monitoring for quality control. Poster A comprehensive approach to mass spectrometry quality control. Oral Pattern mining of mass spectrometry quality control data. Poster Pattern mining of mass spectrometry quality control data. Poster Mining mass spectrometry quality control data. Oral Collecting and mining mass spectrometry quality control data. 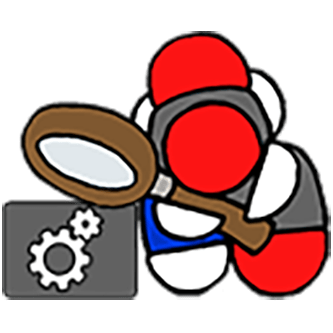 Poster jqcML: An open-source Java API for mass spectrometry quality control data in the qcML format. Fast open modification spectral library searching using approximate nearest neighbor indexing. Tool suite to automatically extract, store, manage, and visualize mass spectrometry instrument metrics for quality control. Highly performant Java API for the qcML standard file format for mass spectrometry quality control data. 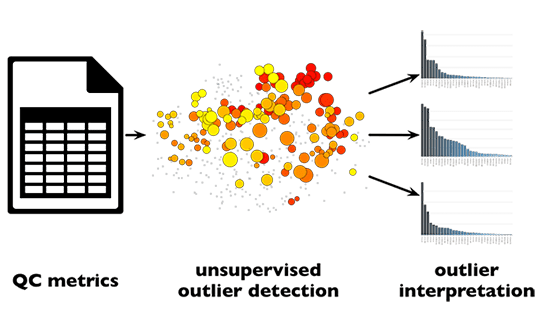 Machine learning workflow to detect low-quality mass spectrometry experiments for automated decision-making.